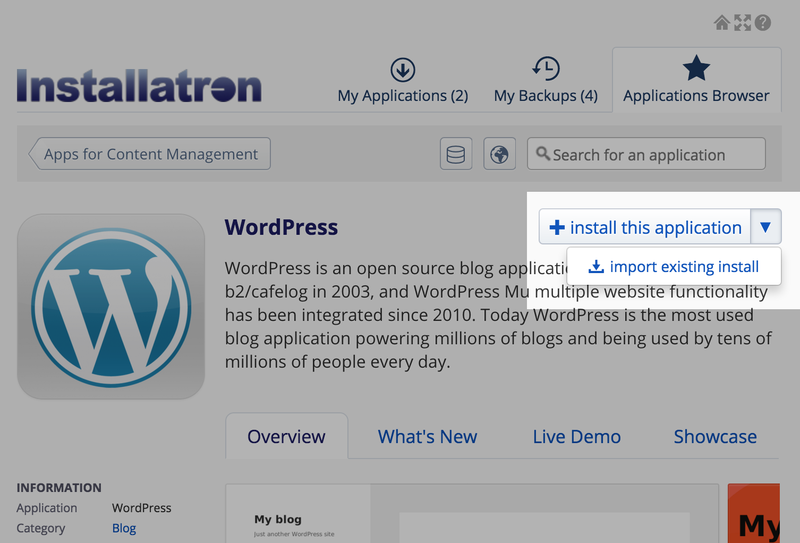 If you have installation somewhere else on the web you'd love to migrate over, or an application in your account that currently isn't managed by Installatron, Installatron can import applications and take over management of them for you. Note: While you may find the application you want to import on the homepage of cPanel if it's featured there, you can also click "View More" to see the full list, and there are indeed a lot. Once you've found the application you want to import instead of clicking the "Install" button you're going to click the dropdown beside it and choose import existing install. Since we're assuming the application is already in your hosting account you'll select from this account as the location. Now all you have to do is tell Installatron what the URL of the install is and it will automatically read the install information and import it into your account. Once that's done you can take advantage of all the great Installatron features with your application. Now if you've been using Rockaway Hosting since the beginning you may not have a need for that, however importing applications is not limited to applications that are already on our server. Assuming you have FTP information for a previous host you can actually import those installs too! Follow the same instructions to find the application you want to import and choose the second option from a different account. For this to work you'll have to give Installatron FTP (File Transfer Protocol) credentials to your old hosting account so it can migrate the information. By providing login information as well as the path to the files, Installatron can assume the privileges of your previous application and grab everything it needs to migrate. 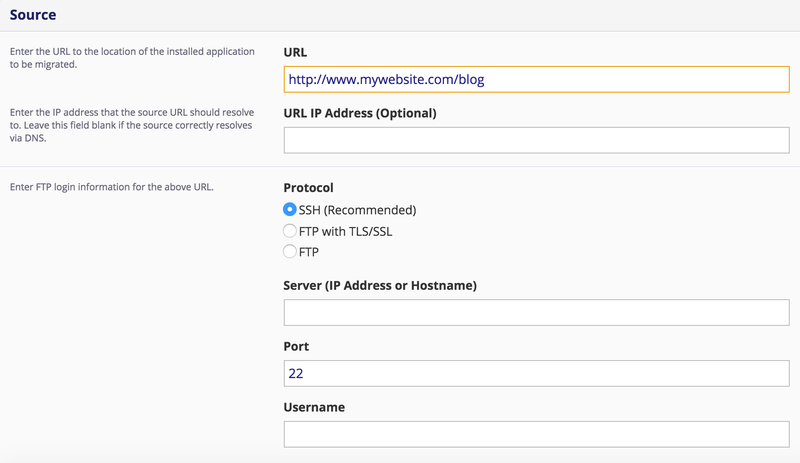 Once your application is imported you'll have a hosted application on Rockaway Hosting powered with Installatron which you can use to automate updates and backups. Moving files and provisioning databases is so last year!